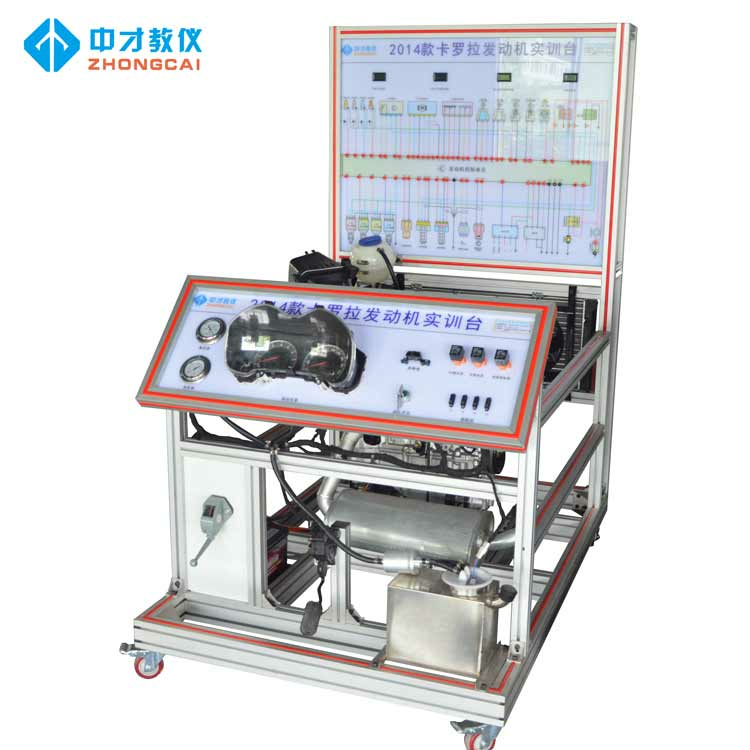 The teaching instrument of automobile engine training platform enables us to better understand the arrangement process of automobile Engine, and only by knowing the whole framework principle of automobile Engine can we better set up the automobile. Idle instability is the most common fault in engine maintenance.If the diagnosis idea is not correct, it will prolong the repair time, reduce work efficiency, and even make the owner wait and transfer to another garage. Intake manifold or a variety of valve leakage, when should not enter the air, gasoline steam, combustion exhaust gas into the intake manifold, resulting in the mixture is too thick or thin, so that the engine combustion is not normal.When the air leakage position only affects the individual cylinder, the engine will appear more violent shaking, which has a greater impact on the cold car idling speed.Common reasons are: air inlet manifold clamp loose or rubber tube rupture;Air leakage in intake manifold liner;The intake manifold is damaged or other parts grind the intake manifold out of holes;Injector O seal ring leakage;The plug of vacuum tube falls off and breaks;Crankcase forced ventilation PCV valve opening large;Activated carbon tank valve normally open;EGR valve is not closed tightly. Too much carbon and dirt in the throttle and surrounding inlet, and changes in the cross-sectional area of the air passage make it impossible for the control unit to precisely control the idle air intake, resulting in excessively thick or thin mixture and abnormal combustion.Common reasons are: throttle oil or carbon accumulation;There are oil stains and carbon deposits in the inlet around the throttle valve;Idle stepper motor, duty cycle solenoid valve, rotary solenoid valve oil, carbon. Idle air actuator failure causes inaccurate idle air control.Common reasons are: throttle motor damage or hairpin;Idling stepper motor, duty cycle solenoid valve, rotary solenoid valve damaged or stuck. The control unit receives the wrong signal and sends out the wrong instruction, which causes the engine idle air intake control to be out of alignment and makes the engine burn abnormally, which is the indirect cause of the instability of idle speed.Common reasons are: air flow meter or its line fault;Inlet pressure sensor or its circuit fault;Engine control unit plug due to poor water contact or internal computer failure. 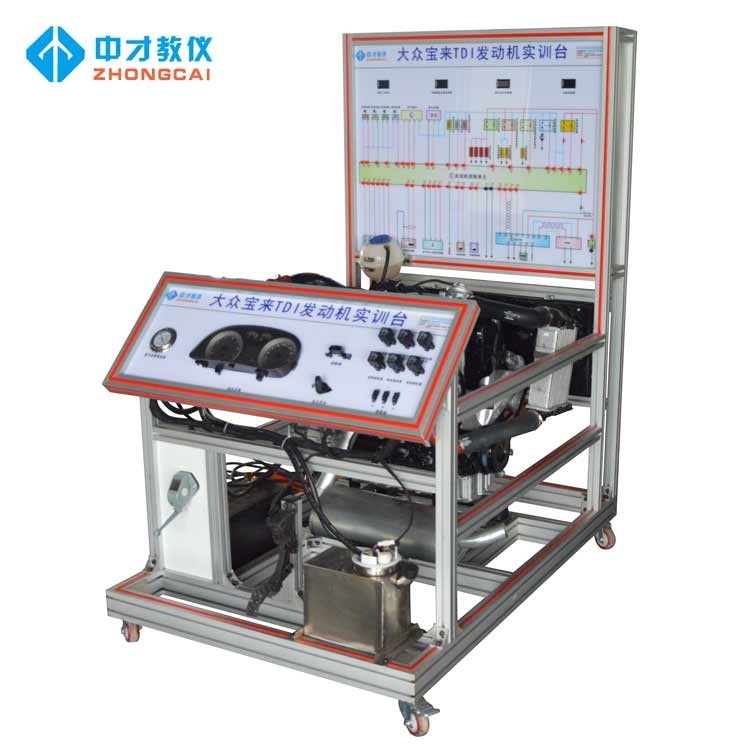 We can do an analysis by learning the teaching instrument of engine training platform, so as to have an in-depth understanding of more solutions to automobile Engine failure. engine training platform can also be used to conduct automobile training more intuitively. If you want to know more about automobile engine training platform, please contact us.